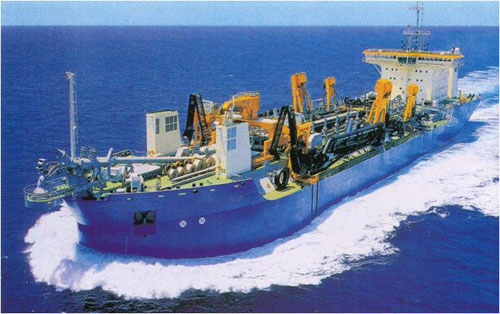 The ANDROMEDA V, a self-propelling trailing suction hopper dredger, is designed with full-scale automation and labor-saving operation. 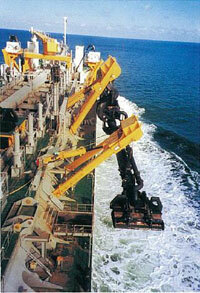 It has 20,000m3 hopper capacity and one of the world’s largest self-propelling dredgers. The ANDROMEDA V has two sets of powerful engines and dredge pumps capable of extracting sand through the dragheads while navigating at 1 to 4 knots and loading the sand into her own hopper and transporting to the discharging area. 2 x 9,000 kW with c.p.p.